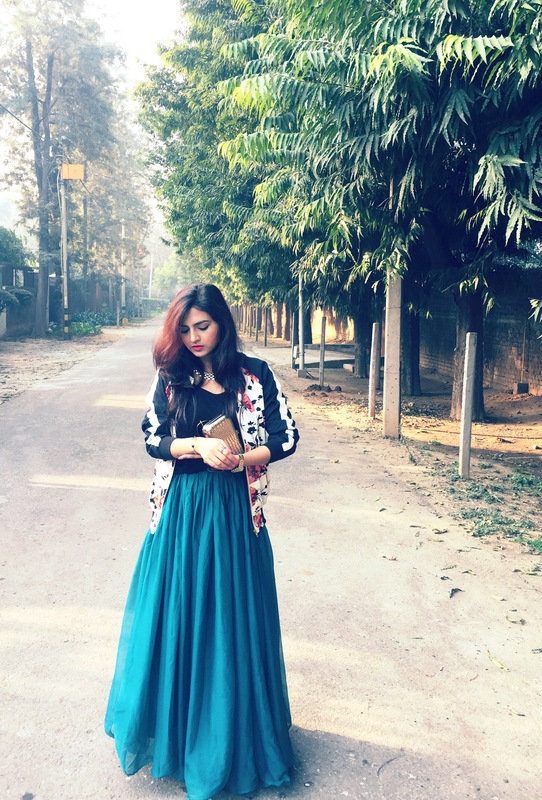 The wedding season just doesn’t seem to get over. 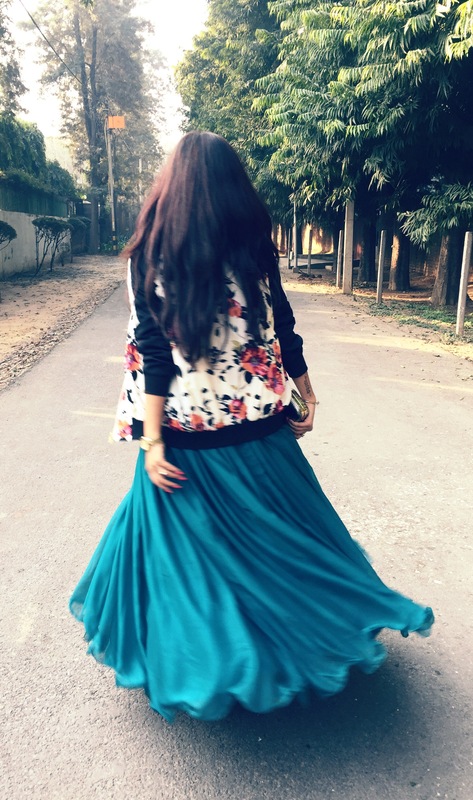 I had to attend a post wedding lunch of a relative yesterday. 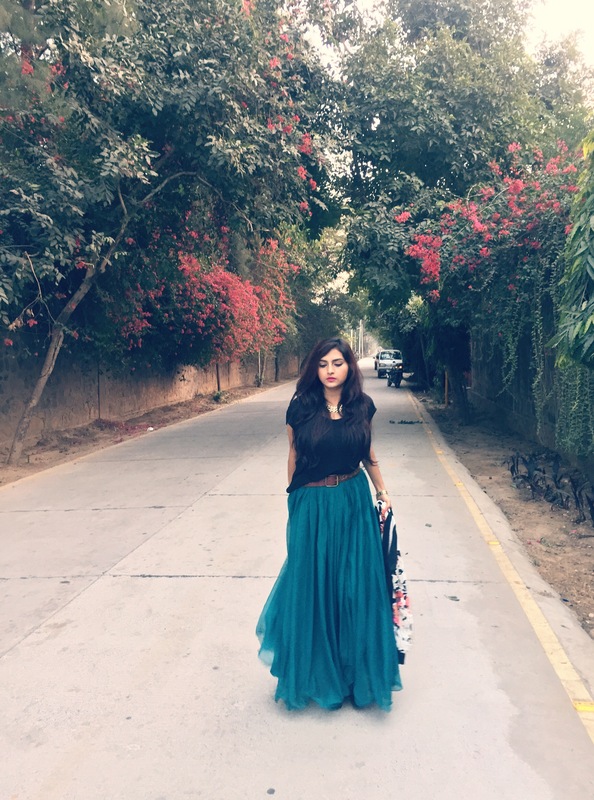 I love dressing up in ethnicwear for wedding season, but this time I opted for fusionwear as it was a day-time occasion and the weather was not too cold or too hot which was ideal for experimentation. 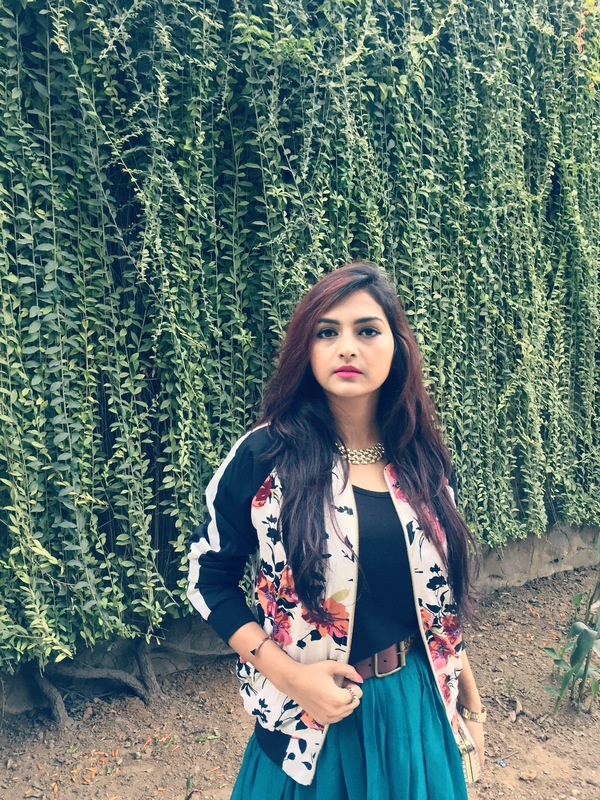 It is a lot of fun to mix up Indian & westernwear, different colour combinations and prints. 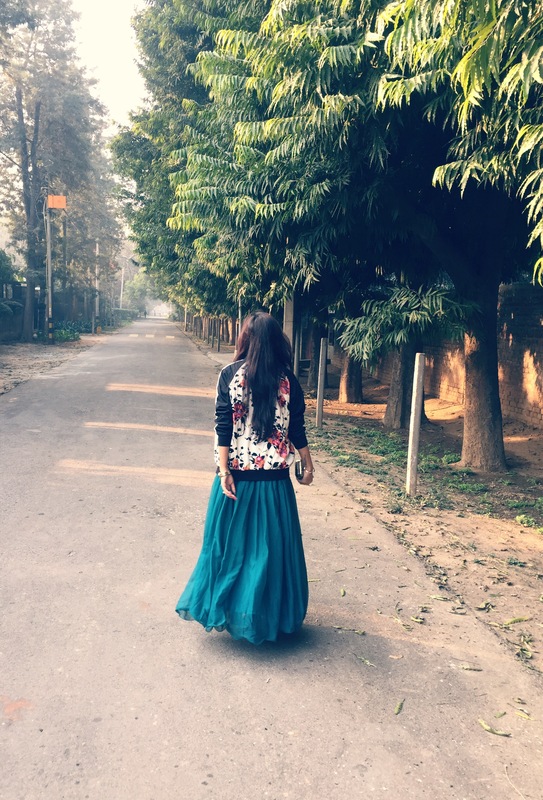 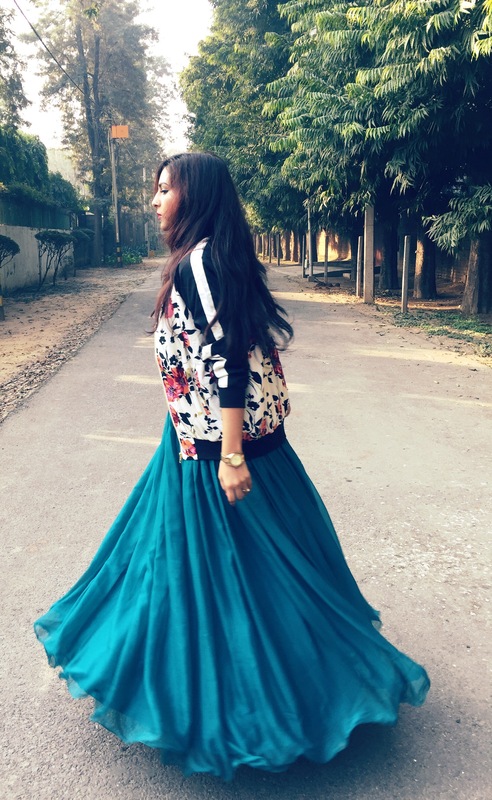 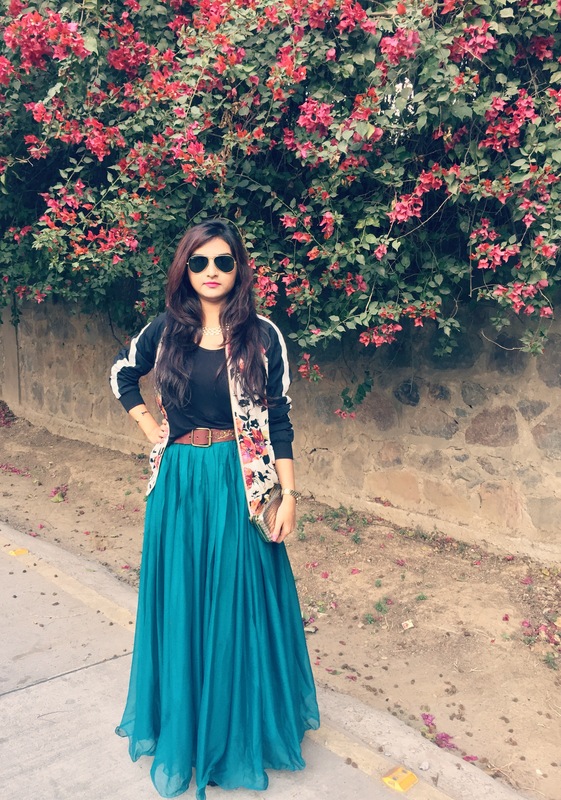 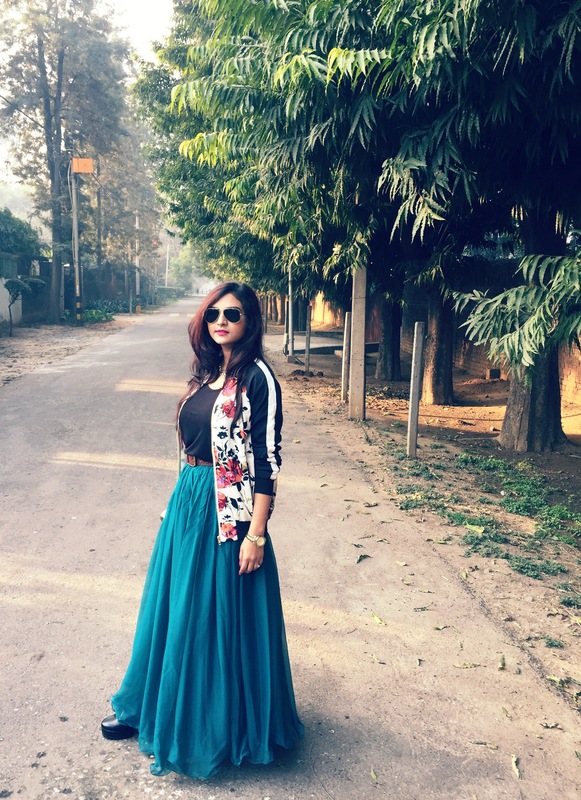 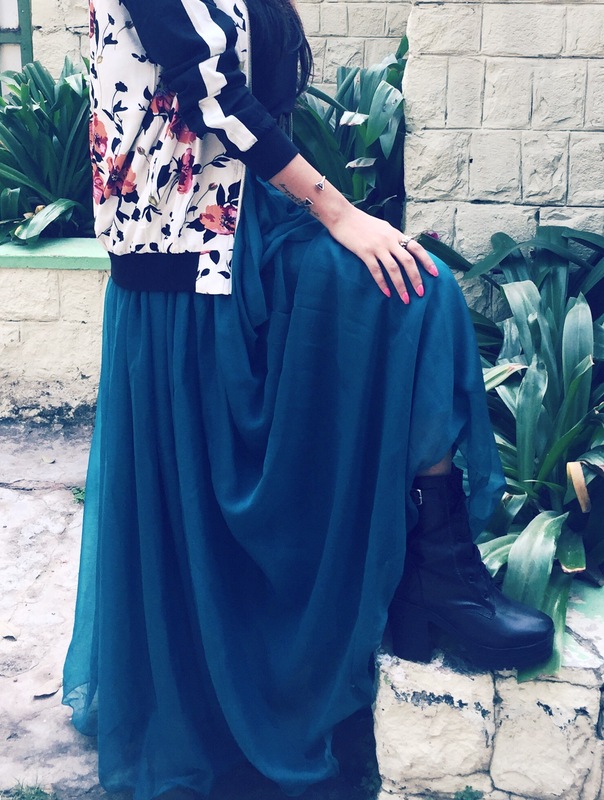 I wore this teal green flared long skirt and tucked in the black high low top to give the outfit some shape.I added floral bomber jacket which is one of my favourite these days. 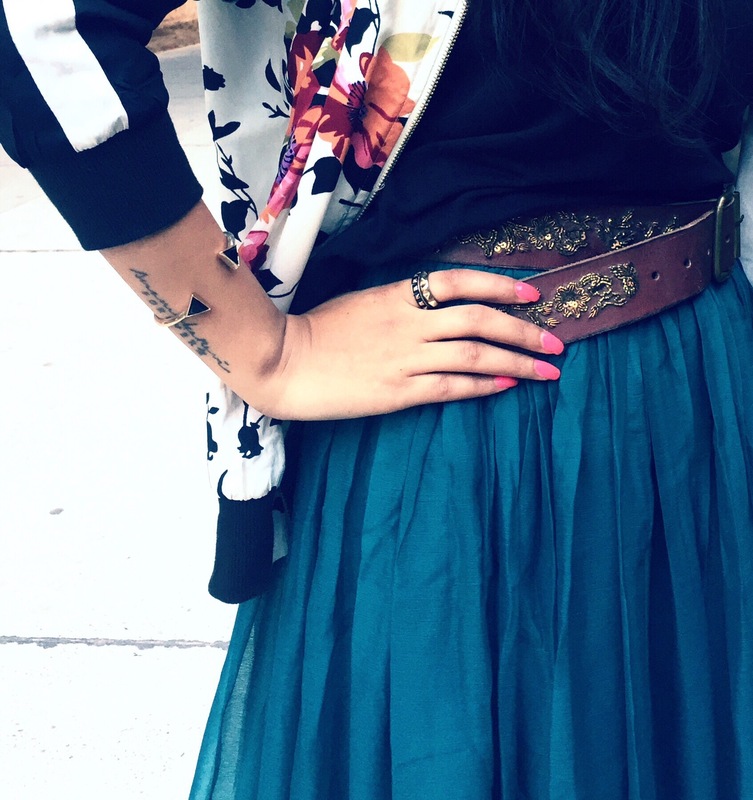 Lastly, I added floral embroidered leather belt, bracelet, rings, watch and golden neckpiece. 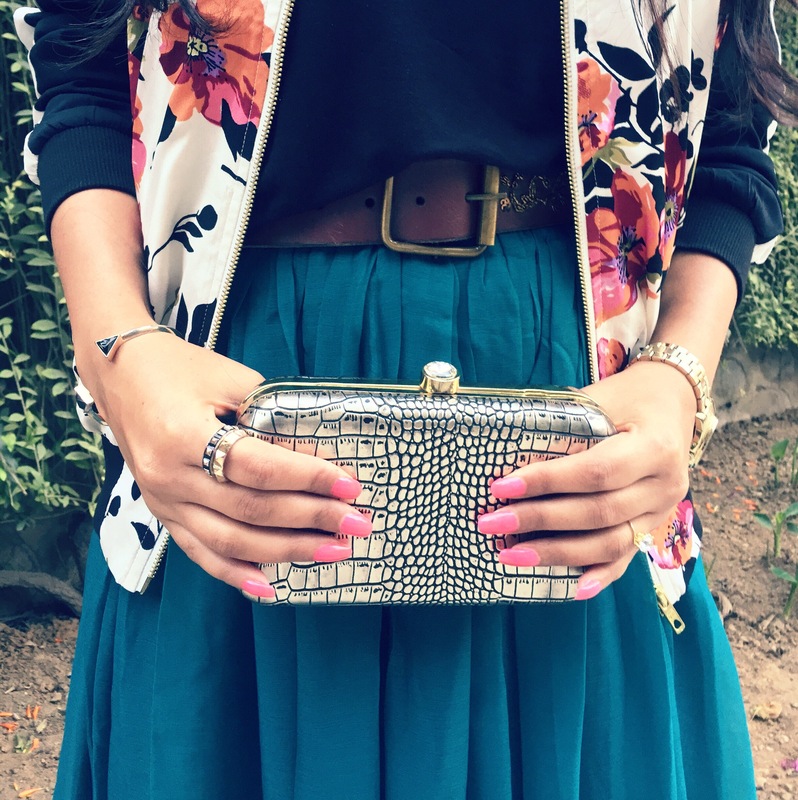 I finished the look with a golden clutch and my favourite boots. 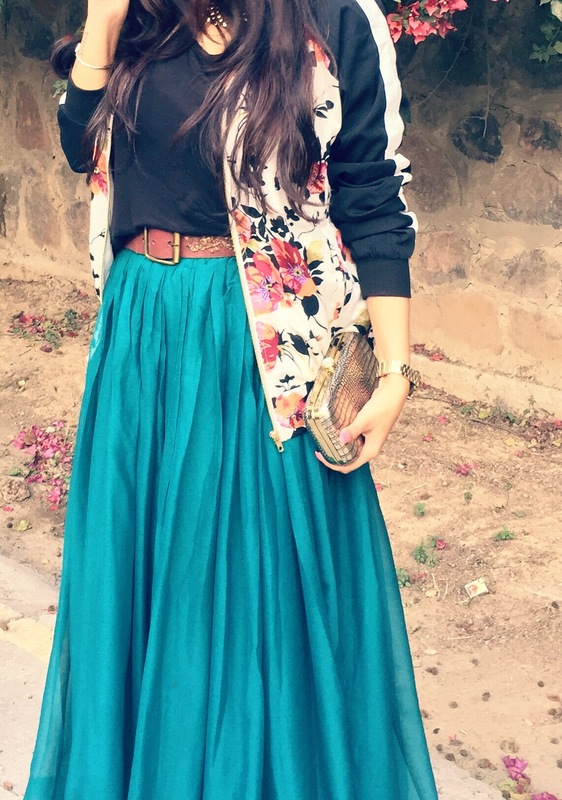 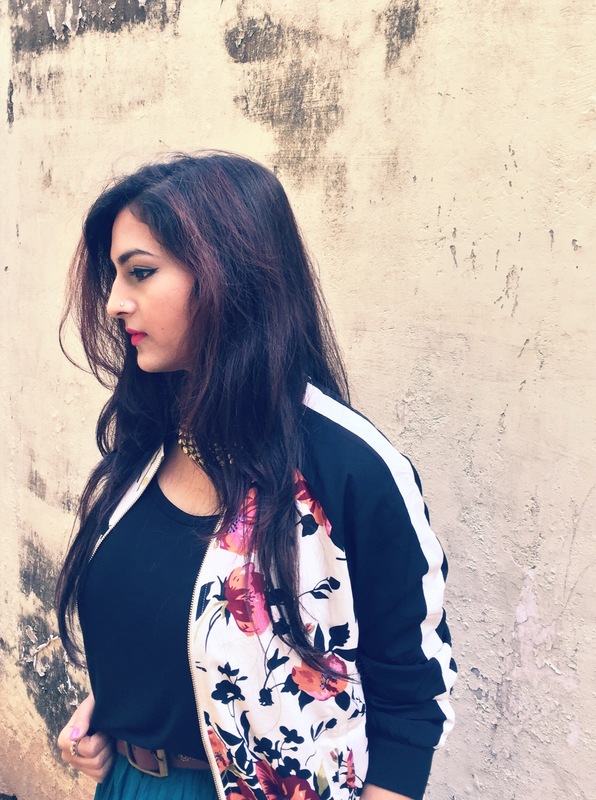 I love how this bomber jacket transforms the whole look and golden neckpiece is a must have.